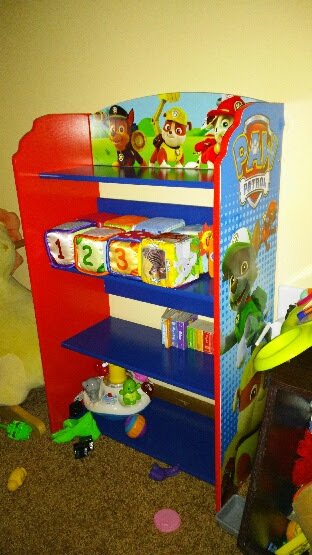 One way we recently organized and cleaned up my youngest son's toy area was by adding in the super cute but effective Delta Children PAW Patrol Bookshelf! It is a colorful mix of function and character and it helps create an organized and inspiring space. With four shelves to fit your child's books and treasures, it also features graphics of everyone's favorite canines, Chase, Marshall and Zuma, on the sides. 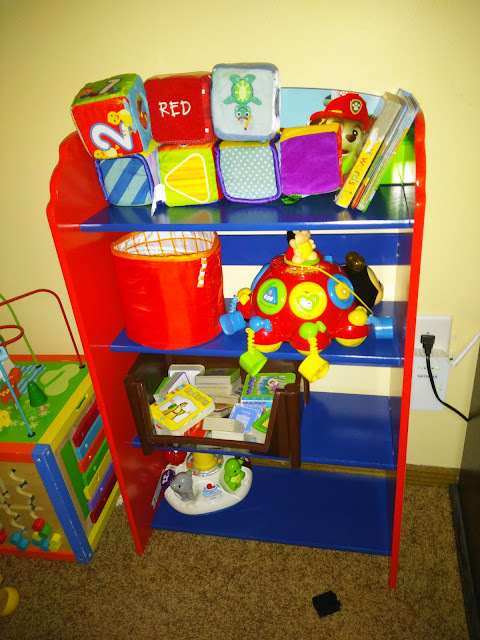 This shelf is small but it makes it the perfect size for my toddler. 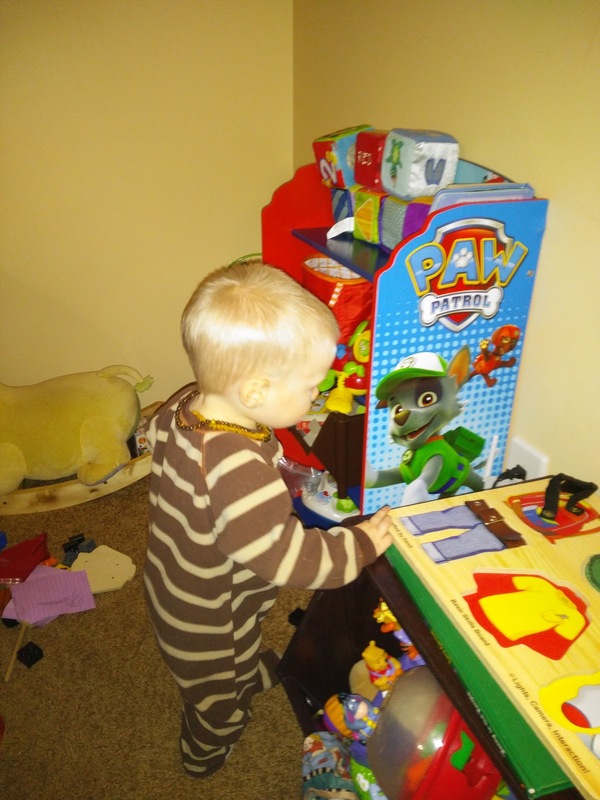 He can reach to the top shelf safely and put in his own toys and books himself. 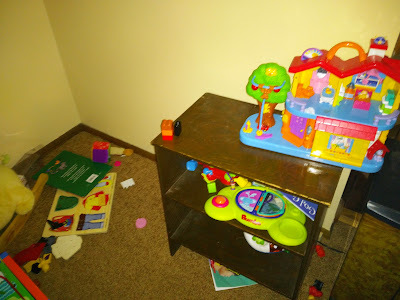 It has really helped us get his toys off the floor and in an organized place. He loves the cute PAW Patrol dogs on the side and top and the colors are fun and colorful. 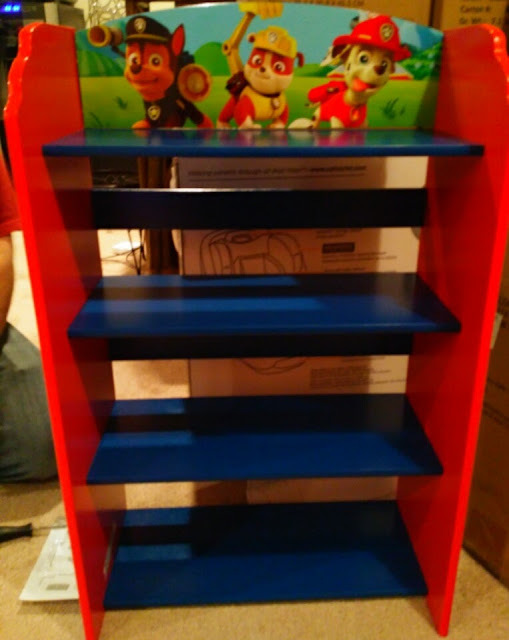 You can purchase the Delta Children PAW Patrol Bookshelf for $39.99 from Walmart.